We’ve all had that mad dash out the door, baby in hand, nappy bag in the other, dog under your feet and a piece of cold toast in your mouth. Your mind does a quick audit – baby: check; car keys: check; nappy bag fully stocked: *groan*. This is where our latest nifty find comes in handy. Have one of these award winning diaper wallets at the ready, and you’re fully prepared and out the door in no time. A nappy bag is great, but it does need a stocktake at the end of each day. Heaven forbid you be caught on the road without baby wipes and nappies. That’s why we love B.Box Diaper Wallets – they keep wipes, nappies and a change mat neatly stored and easily accessible. The beauty of the B.Box Diaper Wallet is it packs a whole lot of punch for a pretty compact unit. It has a built-in wipes box, space for a couple of disposable nappies and a change mat. 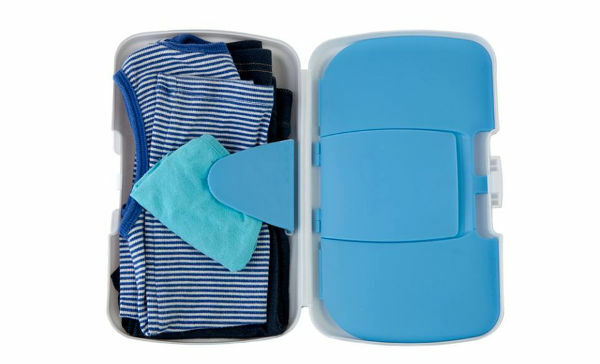 It’s also a handy beach companion – rather than lug the nappy bag onto the sand, pop a swimmer nappy and a disposable nappy in the B.Box and you’re good to hit the waves. There’s another clever little trick the B.Box is famous for: it’s the only diaper wallet with a built-in wipes compartment and dual access to wipes. 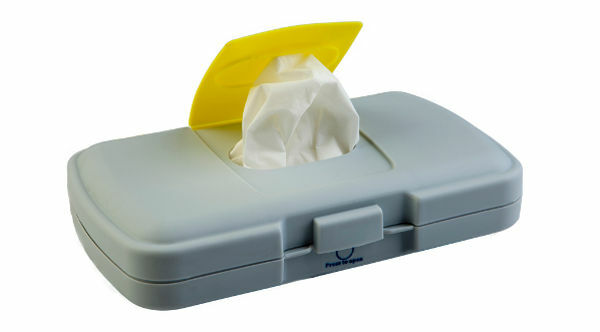 You can grab a wipe from the external hatch for quick cleaning of messy faces and hands, and when you’re changing a nappy you can access the wipes from inside the box. The beauty of the Diaper Wallet is its versatility. If you’re heading into the toilet training stage, simply pop a change of clothes and a nappy in the wallet and you’ve got a little insurance policy against accidents. Like all of B.Box’s products, the Diaper Wallet is BPA, Phthalates and PVC-free – so it’s a thumbs up for kids and the environment. Not only are the wallets fabulously functional, they look brilliant. Cherries, cars, stars and all sorts of bright and bold patterns adorn these boxes, which retail for $34.95. Take a look at the range at B.Box.